PBS has another hit on its hands: Sherlock, a modern twist on the adventures of the fictional detective created by Scottish author and physician Sir Arthur Conan Doyle. 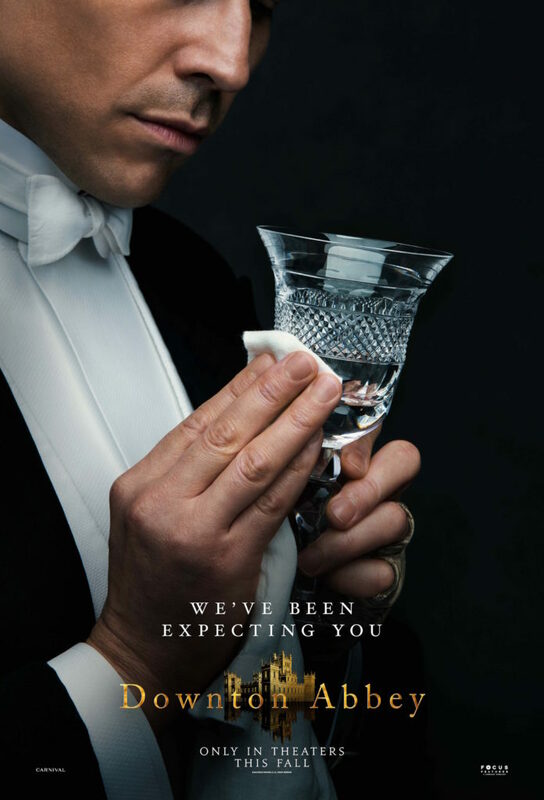 Season 2 premiered on Masterpiece Mystery last night and the Twitter feed at #Sherlockpbs flashed by so quickly I could barely keep up with fan comments. Similarities between Downton Abbey and Sherlock lie in a shared period of history. While the Sherlock Holmes was born in late Victorian/early Edwardian fiction, the twist in the TV show is that it is played out in modern London: back to the Future. They are both critically acclaimed and vying for ratings. 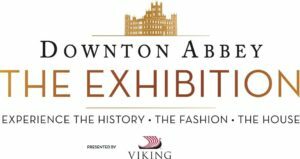 Downton beat out Upstair Downstairs, which was recently cancelled, but a perhaps a different approach to period drama might prove a more worthy adversary. The Sign of the Four, in Lippincott’s Monthly Magazine in 1890. Disgusted with his publisher, Conan Doyle continued on with a series of short stories which appeared in the Strand Magazine starting with A Scandal in Bohemia in 1891. In 1893 Conan Doyle had Holmes and Professor Moriarty killed off in The Final Problem, so he could dedicate more time to his historical novels, but used the “prequel” to bring him back to live in 1901 in the Hound of the Baskervilles. A further series of short stories and two novels published in serial form appeared between then and 1927. The stories cover a period from around 1880 up to 1914. Sherlock was created by Steven Moffat and Mark Gatiss, who worked together on Doctor Who, and are as different as the two main characters, Benedict Cumberbatch who plays as Sherlock Holmes and Martin Freeman, Doctor John Watson. 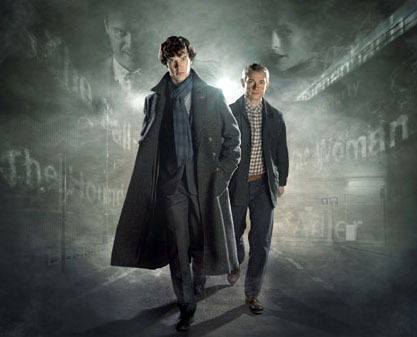 Broadcast in the UK on BBC One, like Downton, Sherlock has two seasons in the can with fans anxiously awaiting Season 3 which will reportedly air in 2013. There are 6 episodes in total, each 90 minutes long. The series has been sold to over 180 territories around the world, including PBS in the US. Like Downton Abbey, Sherlock has received critical reception was overwhelmingly positive and the first series won the 2011 BAFTA Television Award for Best Drama Series. 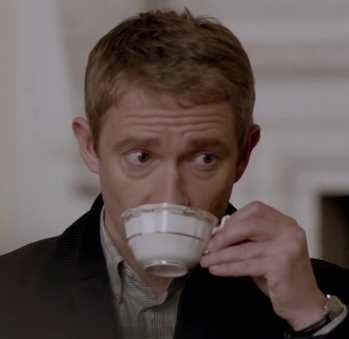 Both Downton and Sherlock were locked out of 2012 BAFTA. If you look close enough you do see some English traditions that the Crawleys observed, although I doubt if they had ever had tea at Buckingham Palace. 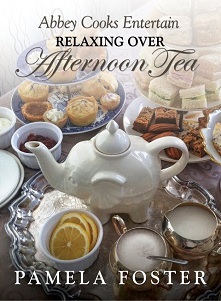 Sherlock is not Lord D’s cup of tea, as he loves the decorum and sets that Downton Abbey delivers. I think he also enjoys the slower pace. 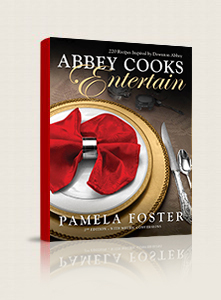 I, like many others apparently, are intrigued by the clever contemporary adaptation of the Sherlock Holmes stories. As a blogger I particularly appreciated the social media aspect to the story line, the medium by which new clients came to their door and media found out about them. I remember my first 2000 hit days, wondering if a server was going to crash. 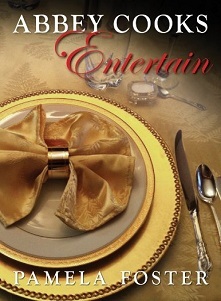 I love a good murder mystery and the cat and mouse play between Sherlock and Moriarty. The show is much like The Mentalist, who show creator Bruno Heller considers Patrick Jane, the consultant with keen powers of observation, a modern day Sherlock Holmes. Jane’s arch enemy is Red John. 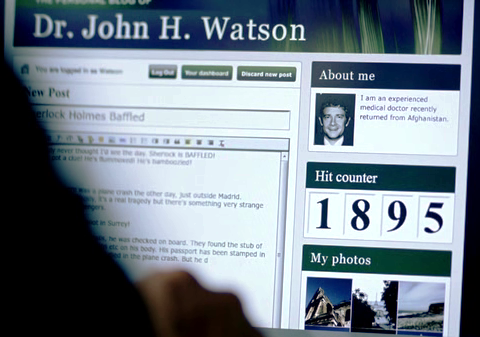 But as John Watson observes “no one was arch enemies these days, do they?”. 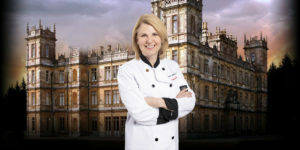 While I do enjoy a good detective story, there is not much to go on in the food department to catch my interest in Sherlock, so I suppose my loyalties have to go with Downton Abbey. I don’t think there would be much to blog about food-wise on this show: there was left over risotto in one episode, and a great deal of eating out. More likely than not Sherlock has a human head, thumbs or other body parts stored in the fridge. The two bachelors are frequently rescued by their landlady for provisions. I must say that I don’t relate to a main character who doesn’t eat since it impedes his thinking process. What’s with that? Don’t feel guilty if you love both shows. We can do that as TV viewers. Perhaps in a perfect world there should be time warp mash up, Sherlock appears to solve Mrs. Bates murder and Daisy cooks and cleans for Sherlock and John’s. I don’t think that a likely scenario but likely you don’t have to divide your loyalties, if you may waffle on the issue. Hmmm, waffles. Waffles have been in existence since there was batter and hot rocks, but their name has changed over the centuries. In the 1200s craftsmen began forging irons into a honeycomb pattern, named wafla after the part of a beehive. The religious connection is clear as the pattern was said to look like interlocking crosses. They were sold just outside churches during the penitential seasons of the year. By the sixteenth century waflas were served in all levels of society. The rich were able to add eggs, milk and honey to create tasty waflas. The poor had only poor flour and water for their thick waflas. In 1620 the Pilgrims brought wafles to America. They learned this skill from their time in Holland. In 1735 waffles appeared in print for the first time with two f’s. If the recipe looks familiar, it is because it also my favorite pancake recipe. You can use the batter for either fluffy pancakes or the best waffles. When my father had heart issues a number years ago I experimented with a number of recipes to find heart healthy versions which were also filling that a Dad or kid would eat. Since it is pretty simple, I have made this for my hosts as a “thank you for having me over” treat. Having said that, I would hesitate to think that Sherlock would have the proper ingredients on hand, based on the ongoing gag of the condition of Sherlock’s fridge. First, separate the eggs, putting the whites in 1 bowl and the egg yolks into another. You could use all three egg yolks, but if you have concerns about cholesterol, leave one out and save for another dish like truffled egg toast. Add the flour, baking powder and milk to the egg yolks and mix to a smooth thick batter. Whisk the whites with the salt until they form stiff peaks. Fold into the batter. It is now ready to use or to add your favorite ingredients like fruit. Don’t worry about it will deflating right away. It can sit on the counter. Crank up the heat on your waffle iron and spray with a non stick spray, like Pam. I typically make a double batch so that we have left overs to freeze. Just pop the frozen waffles in the toaster and you have a much healthier version than the frozen versions you buy in the store. Fall: add 1 tsp. of pie spices like cinnamon, nutmeg, cloves to the dry mix and substitute pumpkin purée for the milk. Add milk or non-fat yoghurt to thin the batter before adding the egg whites. 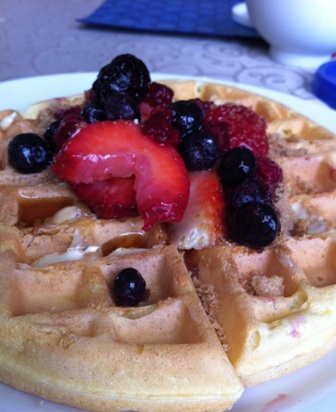 Summer: sprinkle a few fresh berries on the batter once you pour into the waffle iron/skillet). Protein Booster: add 1 tbsp. of protein powder to the dry ingredients, substitute ½ cup nonfat Strained Yoghurt, thin with water or with skim milk.